Costa Rican coffee has proven to be a valuable commodity in the past few years. 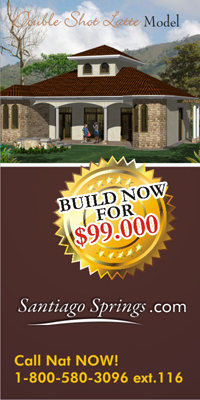 Typical of this kind of progress in the market place, is an increase of interest in investment in profitable areas. But is that the only possible use of a Costa Rican coffee fincas? ("Finca": "plantation, farm, rural property" in Spanish) Obviously profit is nice, but so is the beauty, privacy and remote aspects of such ownership. 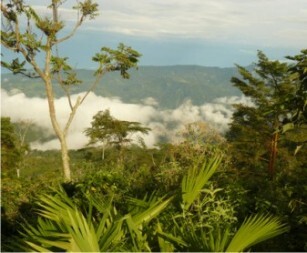 Put on the dream cap: Gentleman/woman coffee farmer's life in Costa Rica? For years we have lived near and drove by an interesting looking roadside bank, you may have also seen it as you travel from the Pan American highway into the community of San Pedro. What a surprise I had when a few months ago I decided to stop and take a look at what they are digging for in that bank! 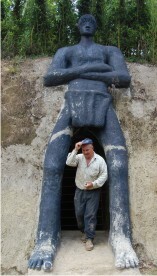 What an interesting man I found in don Manuel as he took me through all those rooms and tunnels he is carving for himself and his family. Mr. Manuel is literally digging his way through, to a place they now call home! We have all heard of the expression ‚Äö√Ñ√∫building their dream home,‚Äö√Ñ√π well, that is exactly what Manuel‚Äö√Ñ√¥s family is doing! When Manuel was a young man of 18 years he was determined to explore the world. 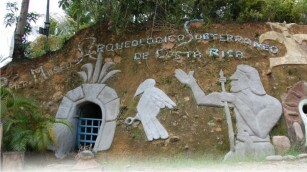 So how does a young Costa Rican without much education and not much $ get to venture very far? That is what I am fixing to share with you! I am so blessed every time I listen to stories like this! Coffee is emerging as the miracle product, especially if you are a mouse. The Costa Rica cash crop has been getting plaudits for years from medical researchers. The most recent report says that the combined effect of caffeine and exercise may protect against skin cancer caused by sun exposure. Next time you travel to Costa Rica with your family in January don't miss out on a coffee fair in southern Costa Rica, (well almost southern), like half way between San Jose and San Isidro. It involves a party where coffee picker, farmers, artisans, merchants, residents of the area, small and large companies engage in the production and marketing of coffee. All visitors are welcome to, cupping coffees; enjoy coffee-based recipes and a whole menu of traditional Costa Rican dishes. 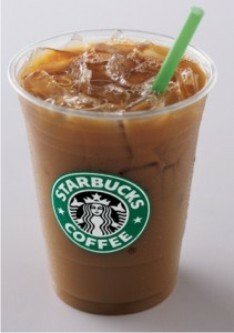 Starbucks chain of coffee shops with a global presence will open its first Costa Rican store in May. "Our main goal is to bring Ticos, the Starbucks experience. Spend a pleasant morning or afternoon, a meeting, whether study or work can be done around a delicious cup of coffee, tea and other products," said Manuela Velasquez, manager of Marketing Central Starbucks. Will the new Mayor of San Isidro leave or Stay?